Acid reflux is a very common condition that affects millions of people. This painful condition, also known as gastroesophageal reflux disease or GERD, has a long list of potential symptoms, almost all of them annoying and painful. Acid reflux can damage the esophagus and cause bleeding, which can then lead to even more serious problems. That’s why it’s important not to ignore acid reflux. If you think you have it, visit your doctor to make sure of what the problem is, and then turn to over the counter medications or natural remedies to help solve the issue. This natural antacid can quickly relive gas and bloating, making you feel much better after just one dose. But before you take the baking soda, make sure your stomach isn’t full – it needs room to fizz up and do its work. 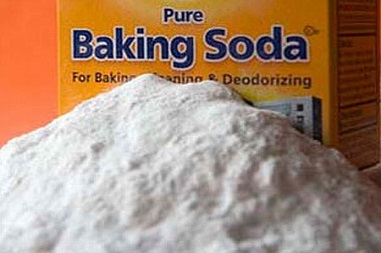 Baking soda is best taken on an empty stomach. 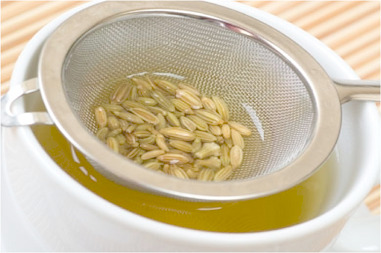 The seeds of fennel tea have been proven to help with indigestion and similar issues. Grind up the seeds and use ½ teaspoon steeped in a glass of water until the desired flavor, then drink up. It’s gentle enough to be used for infants yet strong enough to fight off the indigestion that often comes along with acid reflux. 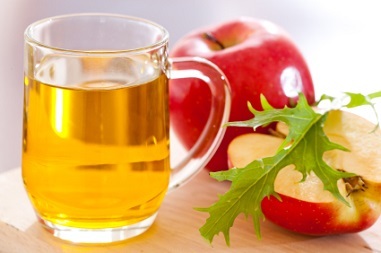 If you are having a serious attack of acid reflux, try drinking one tablespoon of this vinegar in a glass of water. It has been proven to help calm the stomach. You can take this before every meal in the hopes of calming your stomach when you eat, especially if you tend to suffer from acid reflux immediately after meals. 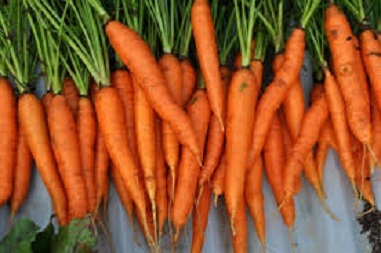 When experiencing acid reflux, you can chew a handful of carrots to make your esophagus and stomach feel better. This is because chewing carrots increase saliva production and cause more enzymes flowing in your stomach to digest foods faster. Aloe vera is a wonder remedy for all sorts of ailments. In this case, aloe vera juice can be used to treat the upset stomach, diarrhea and painful inflammation that can be caused by numerous digestive problems. 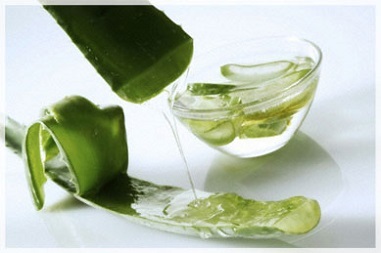 When symptoms start, quickly drink one ounce of aloe vera juice blended into two ounces of cool water. For many years ginger root and ginger root powder have been used to cure stomach ailments. 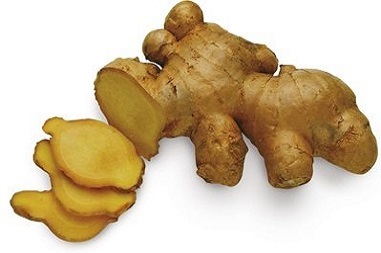 Add one teaspoon ginger powder to a tummy-friendly food per day, or look for it in bulk or capsule form. 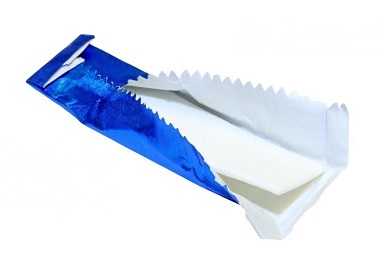 When you chew on bubble gum, it can increase the production of saliva by up to 40 percent. 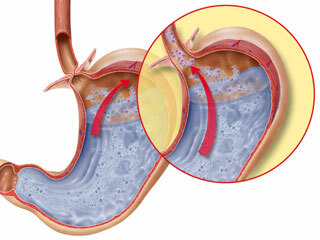 That saliva then goes into your stomach, which can help combat the acid that is causing the pain of acid reflux. 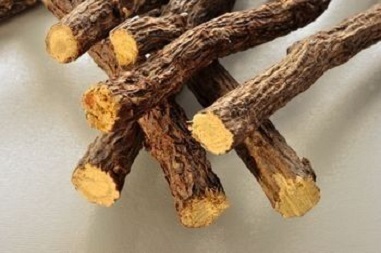 Long touted as a natural remedy for ulcers, licorice can be a lifesaver for those who are hurting from acid reflux. Try chewing two tablets before meals every day, or take it at bedtime to avoid nighttime pain. 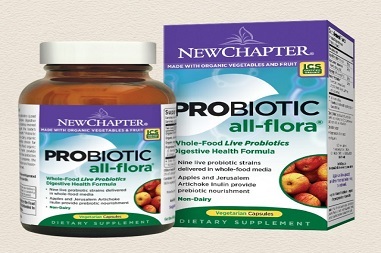 These helpful little bacteria work wonders in the digestive tract, and they might help reduce or eliminate acid reflux problems. Apart from probiotic supplements, look for naturally fermented vegetables, soy products (such as miso, soy sauce, natto, tempeh, fermented tofu), milk products (such as yogurt, clabber, buttermilk, cheese), kefir and even some unpasteurized beers to get enough probiotics. Add these foods to your diet can treat acid reflux problems. 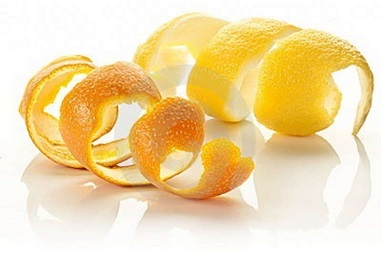 This extract from citrus peel has been shown to coat the esophagus and stomach, helping reduce acid. Try one gram on an empty stomach, at least thirty minutes before eating. As always, prevention is always better than having to cure a problem. Prevention for acid reflux can make a significant difference in how you feel in the long run. These ideas can help you combat acid reflux before it has a chance to start. Start now by changing your eating habits. This can help ensure that you never have problems with acid reflux, and can also help eliminate some other digestive problems. Take your time when you eat, chewing your food thoroughly. Avoid foods with high levels of acid, such as citrus fruits or tomatoes. Over time, you might learn which foods will affect your acid reflux, and you can avoid those as well. Eat smaller meals throughout the day in order to keep the levels of stomach acid on an even keel. Larger meals can mean more stomach acid. Avoid fatty foods, as these take much longer to digest and can lead to the production of even more stomach acid. Work to lose weight. The more weight you carry, the more likely stomach acid will be pushed up into places where it doesn’t belong. Exercise lightly about an hour or two after your meals. Don’t smoke or drink alcohol, and remember not to lie down within one hour after you eat. Sleep on a few pillows at night so that your upper body is slightly elevated. This can help prevent painful reflux symptoms. When lying in bed, try to stay on your left side. This can help reduce the risk of acid reflux while you are sleeping.